Calling all log home lovers. 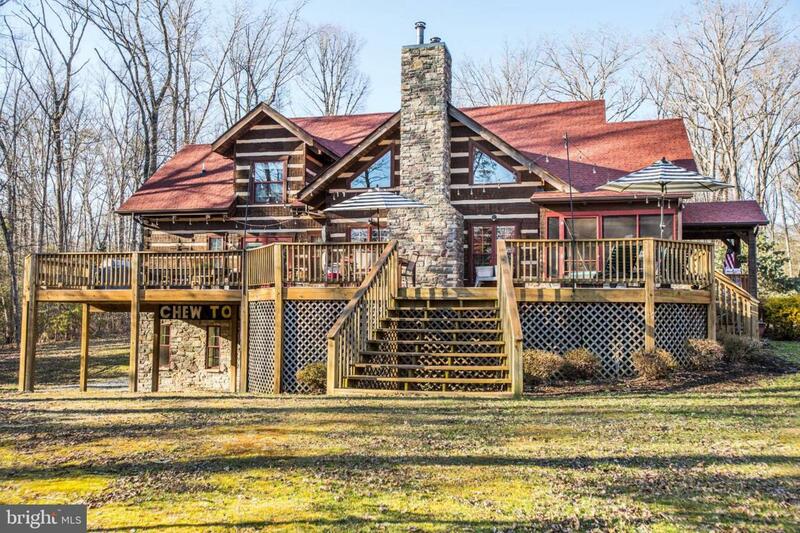 When you're going for authentic, it's all about the details and not one detail was sacrificed in the making of this Virginia log home. Absolutely gorgeous property that has been featured in "Log Home Living" magazine. From the first approach going through the private gated entrance to every corner of this fabulous property, is just a dream. 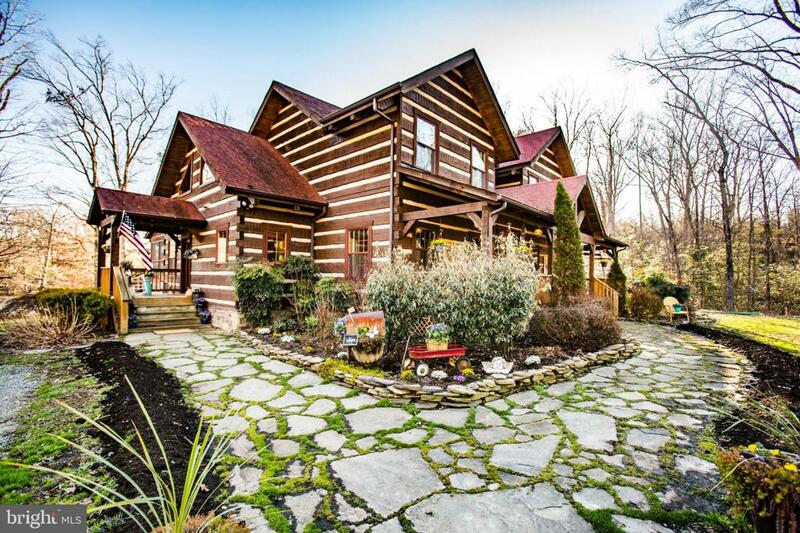 Drive home up your long private driveway to an over 5000 SQFT CUSTOM APPALACHIAN STYLE LOG HOUSE, sitting on over 6 ACRES of land. Wide steps to the front porch lead to a substantial custom entrance door. Flagstone foyer opens to a beautiful contrasting walnut and hickory wood floor. Master bedroom on main level with a copper tub and double entry doors leading to an extremely large deck (over 800 sq. ft) overlooking a fully stocked pond with a fountain. Over 6 acres to roam on this property, a short stroll to the custom-built chicken coop where you can gather fresh eggs daily. Chickens can convey with the property. Turn around and you run into a gated organic vegetable garden with a garden shed that is Pinterest worthy. In fact, every turn on this property is Pinterest worthy. This home has been put together with creative love and it shows in every detail. The owners have large groups of visitors throughout the year and everyone is completely smitten, no one wants to leave. The owner sourced the wood to match the house and custom built an oversized 2 car garage with stairs leading to a large storage loft. 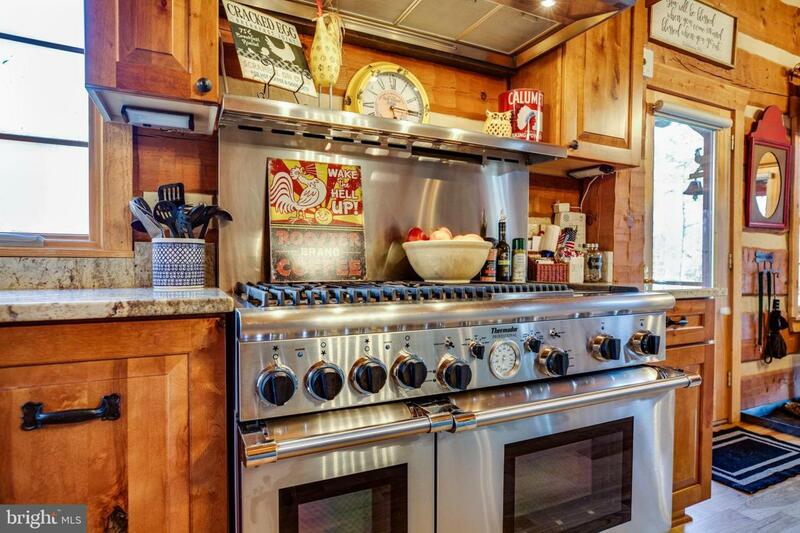 $50kKitchen remodel in 2015. New main level a/c ~17. New septic drainage field '16. New 800sq. ft deck '18. Tankless hot water heater. Commercial Thermador 4 burner stove with grill, griddle & double oven. Screened porch for shade in summer which then opens to the deck. The list of upgrades is extensive but what can't be listed is the atmosphere in this house. Dynamic, loving and fun family home. The hand-hewn log exterior and interior evokes a different era. The full-width front porch just begs you to sit and rock. The fully fenced organic garden, with a dreamy garden shed, is just waiting to be planted this season. Abundant shrubs and flowers, the owners have attended to every detail that matters. Lower walkout level is fully set up as a guest quarters with its own bedroom, bathroom, and kitchenette. Multiple sliding barn doors. Oh, and did I mention only10 minutes to great schools, shopping, hospital & train station. 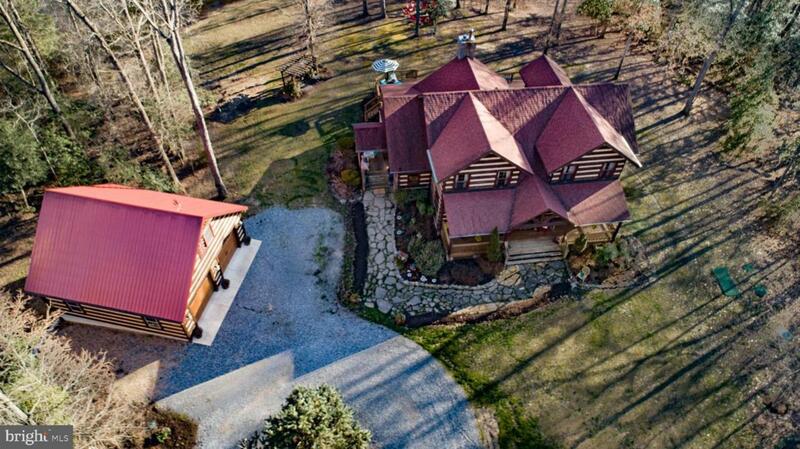 Most log homes are deep in the country far from amenities, not this one: private, spacious & upscale. Truly one of a kind!